There is also a limited time 15 percent off on Amazon’s devices if one purchases them using the Prime Now app. Amazon Prime members in India can now get a Fire TV Stick or Kindle and Echo devices delivered to their homes in two hours. The company has announced that the aforementioned devices are now available vai its Prime Now app, which is an app-only service for Amazon Prime members. Additionally, as a limited time introductory offer, there is a 15 percent discount on Amazon devices that are purchased using the Prime Now app. 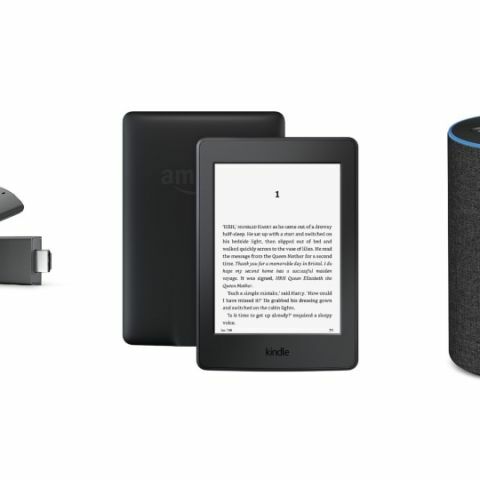 The list of Amazon devices that are available includes the Fire TV Stick, the 'All New' Kindle, Kindle Paperwhite (Wi-Fi variant), the Echo and the Echo Dot. Also, Amazon says that with the app, one can shop for over 10,000 products across categories like consumer electronics, home and kitchen, groceries and more. However, the service currently limited to select cities of Bengaluru, Mumbai, New Delhi and Hyderabad. With the Prime Now app, users can get delivery of items anytime between 6 AM and 12 PM. “Prime Now brings our fastest and most convenient delivery option for Amazon Devices. You can now get your Fire TV Stick delivered within hours to watch your favourite show or movie, or get your Kindle delivered before you board the flight tonight to your holiday,” says Jayshree Gururaj, Director of Amazon Devices. To recall, in India, the Amazon Prime subscription was launched late in July, back in 2016. As an introductory offer, the membership was priced at Rs 499 and was later bumped up to Rs 999. Prime Members get to avail free one-day and two-day deliveries on over 11 million items to over 100 cities across India and there is also no minimum order value for free Prime deliveries. One also has access to Prime Videos to watch TV shows, movies, and other original Amazon content. Speaking of Amazon Prime membership, except for the Rs 999 yearly plan, there was no other option for one who wants to try out the company’s services. However, Amazon quietly added a Rs 129 monthly plan for users who don’t want to commit to the service for a year. You can read more about the new monthly subscription plan here.